Gone are the days when travellers needed wads of cash and credit cards. Credit, debit and now pre-paid travel money cards make life easier and safer. Travel money cards make taking money away easier. But they can be mighty confusing. Travellers need to arm themselves with a thorough knowledge of the fine print to get the best out of these convenient cards. So how do travel cards such as OneSmart, Loaded for Travel, Cash Passport Qantas Cash and others, work? They look like a Visa or MasterCard and can be use wherever those brands are accepted. A variety of foreign currencies can be loaded into separate “wallets” on the cards. Travel money cards can be used to withdraw cash at ATMs or spend as you would with a debit card in New Zealand. 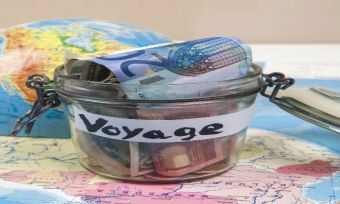 The exchange rate is locked in when cash is loaded on the card, which can work both in travellers’ favour and against. The card is chip and PIN protected. If the card is lost or stolen it can be blocked. It’s not connected directly to your regular bank account giving protection if it’s stolen or skimmed. Travel money cards come with costs and traps for the unwary. Expect to be confused if you want to compare them. Each provider has a different formula for charging to transfer money to cards, and the exchange rate can cost customers a couple of percent that they don’t even realise they’re spending. Money left on the card on return home can be eaten up with inactivity fees. Then there are additional fees if you spend in currencies that your card doesn’t support. Some cards counter this by giving money back through Fly Buys or air points on spending. But don’t expect this for cash withdrawals. Choose your currency. It’s best to use a card that offers the currency of the country you’re going to. Watch ATM withdrawals. 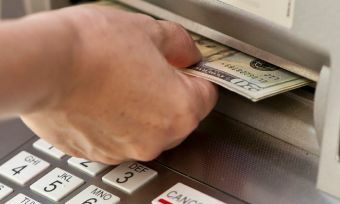 ATM withdrawals in other countries are free on some cards, but others may charge you after a certain number of withdrawals per month. You need to know what yours does. Fees, fees and more fees. When choosing a card make sure you understand all of the fees. Banks do very well out of these cards, especially if you don’t use them in the most cost-efficient way. There are fees to load cash onto your travel money card, fees, to check balances, ATM fees, inactivity fees, disputed transaction fees, replacement card fees, transfer out fees, currency conversion fees, text fees, and so on. Not every provider charges all of these, but chances are you’ll be hit with many of them. Check exchange rates. Some providers make a per cent or two extra from you when converting your cash. That needs to be factored into your decision of which card to buy. You can’t always transfer your balance back. Some cards don’t allow you to transfer your leftover money back into your bank account, or charge a handsome fee for the privilege. The way around that is to spend the balance here when you return. But that doesn’t work for everyone – especially keen budgeters who have tracking systems for their spending. It’s a really good idea to read all the fine print of your chosen card. That way there will be fewer surprises on holiday, when you need banking hassles least. Finally, much as Canstar always likes Kiwis to get the best deal, sometimes the convenience of having all your cards at one bank or on the back of your frequent flier card outweighs other concerns. If you want to know more about travel money cards, check out this useful guide published by the Banking Ombudsman.